There are lots of legal case management tools for lawyers. Litigation is a hairy business, and it’s easy to get lost in reams of legal research, sloppy billing records and missed filing deadlines, especially when you have multiple cases to handle. Pro se litigants need help managing their cases too, but the needs are very different. 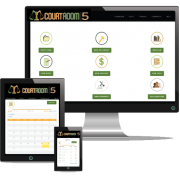 Courtroom5 is designed to meet those needs, but does it do the job? 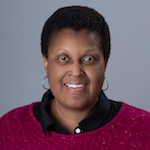 We have 40 years of collective pro se experience on staff. We’ve been in the trenches on many types of cases, in various jurisdictions, from small claims and magistrate courts all the way to the highest courts in the land. We’ve lost many, won a few, and learned a little or a lot from each experience. The biggest lesson we’ve learned is that a little information often stood between us and victory. We learned the hard way how to quickly find the information needed to support our positions or make the right procedural moves. 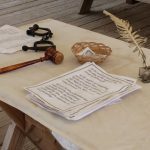 A close second lesson was the power of keeping the various pleadings and motions in the case organized and close at hand, ideally in electronic form. We also learned the structure of a good legal argument, one that follows and connects the most relevant facts and law. We learned the priceless value of laying out a strategy and keeping it updated with tasks on a calendar, and we learned the necessity of keeping track of our costs so we could get them back whenever we won a case. We learned how important it was to have a basic understanding of the phases of litigation, from the moment a complaint is filed until it is won or lost on appeal. And we learned how painful and demoralizing litigation can be, especially when it drags on forever, and how inspiring and motivating it could be to exchange notes with others representing themselves. 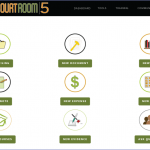 So we developed a set of tools to make all this easier for first-timers, and we called it Courtroom5. The service is designed simply to help self-represented litigants be more knowledgeable, organized and effective in court. There’s basic Litigation Training that covers the essential requirements at every stage of a case. Our Pleading Builder walks users through crafting good motions, ready to be printed, signed and filed. Our File Cabinet stores PDF versions of all filings in the case, each with user-specified tags for easy searching. Our Legal Research tool helps users find supportive statutes, rules and appellate cases and organizes them for easy plug & play into motions. There are also tools for organizing miscellaneous notes, scheduling and managing tasks, and tracking expenses. We’ve laid out the need for and use of these tools here, here and here. Subscribers tell us they’re putting Case Manager to good use in their cases, but it’s not perfect. The most consistent feedback we receive is that users need more templates for common filings. They need additional guidance and handholding to make their filings more effective. 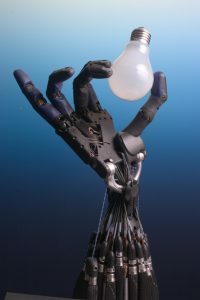 All the other tools — for storing filings, legal research, managing tasks, monitoring expenses — work as expected. But the Pleading Builder, our guided template for crafting motions, is… shall we say, basic? It’s humbling to hear we don’t know everything about the needs of pro se litigants. But were also exhilarated to know we’re on the right track. We’re grateful for each of our users, especially those who tell us what they need, and we hear you. Stay tuned. 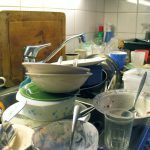 What Can Doing The Dishes Teach You About Litigation?